PARK anywhere in Lot 3–a short level walk to the Conference Center where our meeting will be, this time only! Werner L. Frank was born in Germany and immigrated to the US in 1937. He is an avid genealogist who has amassed 36,000 family names dating to the thirteenth century. 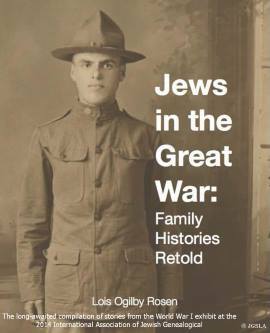 The talk will illuminate the small world of Jewish genealogy and the rationale behind the claim that all Ashkenazi Jews are at least 30th cousins. 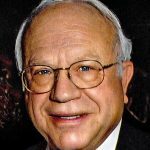 By pursuing the typical paper trail process that he calls Push Genealogy, our speaker has identified over 35,000 family members dating to the late 17th century. Faced with the inevitable metrical data roadblock of the Thirty Years’ War (1618-1648), he conceived the notion of jumping over this brick wall to seek family progenitors within the relatively small European Jewish population that existed in the Middle Ages. It was his hope to identify such antecedents and to pull down a descendant chain from medieval times to the seventeenth century and consequently close his family tree gap. The Pull Methodology has much promise since there is a surprising amount of genealogical data associated with prominent Jewish families of the Middle Ages highlighted by Rabbinical and Merchant Banking Dynasties. Whether it was by surname, location, prominence or sheer selection by chance, our speaker was successful in identifying individuals whose descendant history revealed a family connection to his “pushed” data and led to an unexpected direct link to eleventh century Rashi of Troyes and seventh century Rabbenu Meshulam of Tuscany. The Push-Pull Methodology is relevant to all Jews with Ashkenazic or Sephardic origin since family links to the past are a common phenomenon as discussed in the article, Is a Rabbi Hiding in Your Family Tree? (by Janet Akaha and Rachel Unkefer, appearing in Avotaynu, Volume XXXI, #3, Fall 2015). Also, note the hundreds of European-wide major rabbinical family citations found at the RAV-SIG link on www.JewishGen.org, offering potential family anchors throughout the European continent. Werner Frank is a founding board member and former newsletter editor of JGSCV. He was a co-founder of GERSIG and published in ROOTS, Maajan, Avotaynu and Stammbaum (of which he was a former editor). He has delivered talks related to his research at a number of annual meetings of the IAGS International Conference on Jewish Genealogy. Frank’s professional career began as a systems analyst in the aerospace industry, followed in 1962 by founding one of the first software companies, Informatics, Inc. and later serving as an executive of Sterling Software Inc. Now retired, Frank makes his home with wife Phoebe in Thousand Oaks, California. He can be reached at wlfrank82@gmail.com.